What are mycotoxins and how do we prevent these organisms from affecting our horses? Ashley Neely recommends simple steps you can take to reduce the risk of contamination which can lead to serious health problems. As horse owners, we do what we can to prevent our horses from becoming ill but one thing which can result in serious health problems, and costly vet bills, are mycotoxic poisioning. Mycotoxins are naturally occurring secondary metabolites produced by moulds and fungi and are found within forages and cereals. They can also develop on feeding equipment such as scoops, buckets and in storage spaces, but, the good news is, there are steps you can take to help reduce the risk of contamination. Aspergillus with Alfatoxin B1 highly dangerous. Mycotoxic poisoning can cause your horse to suffer with respiratory, gastrointestinal, neurological and reproductive health problems. Symptoms are often nonspecific but you may notice your horse develop hypersensitivity, have poor condition, behavioural changes, neurological disorders, performance issues and skin problems. The diagnosis can prove difficult but you can opt for an ELISA blood test which can be expensive. However, if you do notice symptoms and suspect mycotoxic poisoning you should report it to your vet immediately. Mycotoxins can occur both before and after harvest and can continue to develop in humid climates. Unfortunately many cannot be seen by the human eye and so it's vital you take simple steps to prevent them from developing. These are steps you can take which will help you during the harvest of forages and cereals and also during storage periods. The use of mycotoxin binders - these can be added to feed substances. These are indigestible yeast components which bind to the mycotoxin disabling the mycotoxin as harmless and are they are then passed through the digestive tract. Bluegrass Horse Feeds customers can feel totally reassured knowing that we use mycotoxin binders to our range of feeds fortified in Stamm 30. Bluegrass Horse Feeds is an Irish horse feed producer based at its mill in Eglish in County Tyrone. 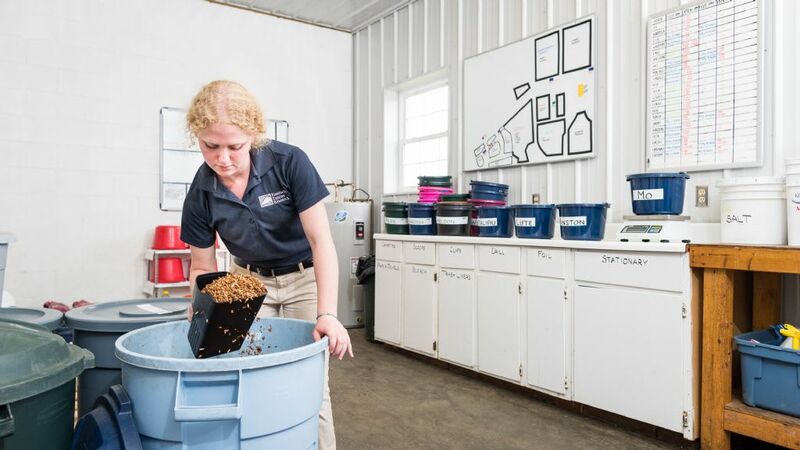 Bluegrass Horse Feeds, which produces quality and innovative horse feeds, is Ireland Team Member of Kentucky Equine Research. The Bluegrass Horse Feeds team works closely with owners, riders and trainers using the latest nutritional research and technology to achieve optimum performance from their horses. Bluegrass distributes its feeds the length and breadth of Ireland and has over 200 stockists. If you need nutritional advice please fill out our diet request form and while you're here find out your nearest stockist.